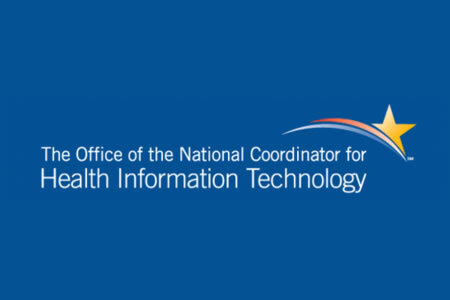 The Department of Health and Human Services’ Office of the National Coordinator for Health Information Technology (ONC) has published its Final 2017 Interoperability Standards Advisory (ISA). The ISA is a catalog of standards and implementation specifications that can be used by healthcare organizations to address specific interoperability needs. The purpose of the ISA is to serve as a single resource for the healthcare industry to obtain standards and implementation specifications to meet their specific interoperability needs. The ISA covers healthcare data stored in electronic health records, although the resource is intended to be used for a range of health IT that support interoperability needs. ONC points out that the scope of the resource is limited to ‘what’ could be used to address an organization’s interoperability needs, and not necessarily ‘how’ those needs should be met, such as the specific interfaces or tools that should be used. The ISA is a fluid resource and will be updated periodically to cover a much broader range of health IT interoperability needs. This year’s updates include specific references to public health and research as well as including interoperability needs relating to personal health devices, research, nutritional health, Social Determinant, and nursing. Since there may be more than one standard for any specific interoperability need, discussion will take place via the ISA public comment process. The new web version will make this process more transparent and threaded discussions will be viewable which should help to promote further dialogue. Following the publication of the draft ISA in August this year, ONC has made a number of updates after taking on board the feedback received from the public and the Health IT Standards Committee. ONC has dropped the use of ‘best available’ as a concept in the ISA. This is to ensure that stakeholders do not take that to mean standards and interoperability specifications are ‘the best’, when each may have a number of limitations or may not have been widely adopted. This will also help distinguish between standards that may be better suited for organizations’ needs. The scope of the 2017 ISA has been expanded to include public health and health research interoperability and covers electronic health information that is created by healthcare providers and subsequently used for purposes for which interoperability is required. However, the ISA falls short of including interoperability standards for administrative and payment oriented HIPAA transactions, which are covered by the standards maintained by the Centers for Medicare & Medicaid Services (CMS). Section I – Vocabulary/Code Sets/TerminologyStandards and Implementation Specifications (i.e., “semantics”). Section II – Content/StructureStandards and Implementation Specifications (i.e., “syntax”).